This project by Poolscene Solutions was part of an extensive renovation to transform this property into the ultimate entertainment hub. At the heart of the clients’ brief was the desire to host family get-togethers effortlessly. The fully tiled concrete pool measures 8m x 4m and features a large wading area, which is perfect for swimmers of all ages and abilities. 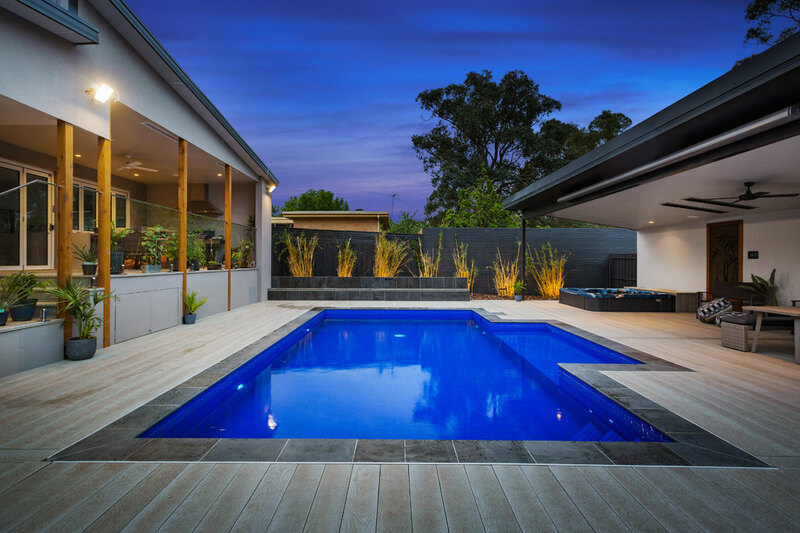 Fully encompassed by beautiful Millboard composite decking, the pool flows through to a covered entertaining area. Designed by Matt Scrase from Liquid Amber, the surrounding patio features an outdoor lounge, portable spa, and fire pit, providing the perfect place to relax all year round. The neutral colour palette contrasts beautifully with the pool’s deep blue hue, allowing it to shine through as the hero of the space. 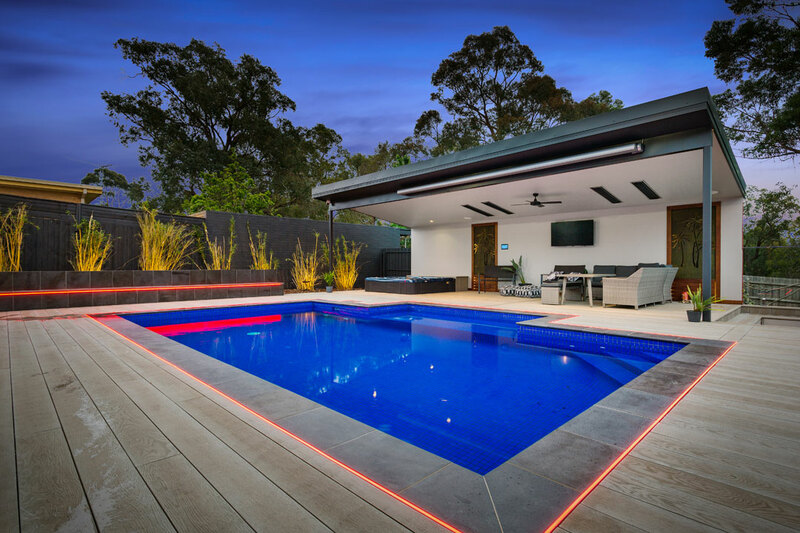 For the occasions where festivities continue late into the evening, LED perimeter lighting illuminates the patio, while multicoloured LED lights from Spa Electrics brighten the pool. Solar heating by Supreme Heating was also installed, as well as a 450MJ gas heater for the cooler months. Showcasing a Henden media filter and a Hayward Pool Products TriStar variable-speed pump with filter scheduling capabilities, the pool is highly energy efficient. A Hayward Pool Products salt chlorinator and a Sense and Dispense chlorine and pH controller were also installed. 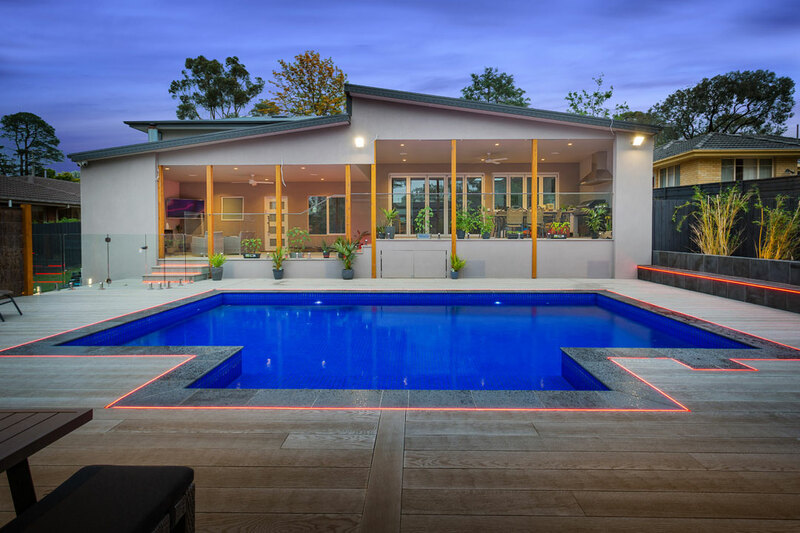 Poolscene Solutions provides a comprehensive professional package that’s tailored to suit the specific needs of each client, from the design stages through to completion. 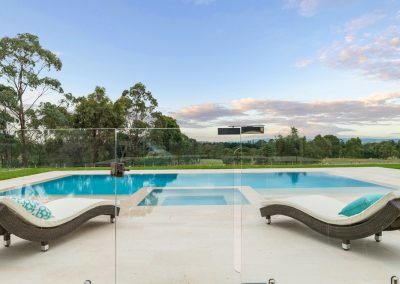 Founded in the eastern suburbs of Melbourne, the company builds around 10–20 pools each year throughout Victoria. Simon Picknell has worked in the industry since 1984, and brings his wealth of experience and knowledge to the company. He works alongside many architects and engineers to provide clients with more options in construction methods and styles. He also works closely with landscape designers to achieve complete outdoor living solutions. 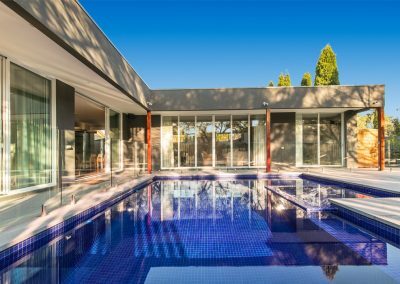 Poolscene Solutions provides personalised service combined with expert attention to detail to make your pool building journey as smooth as possible.